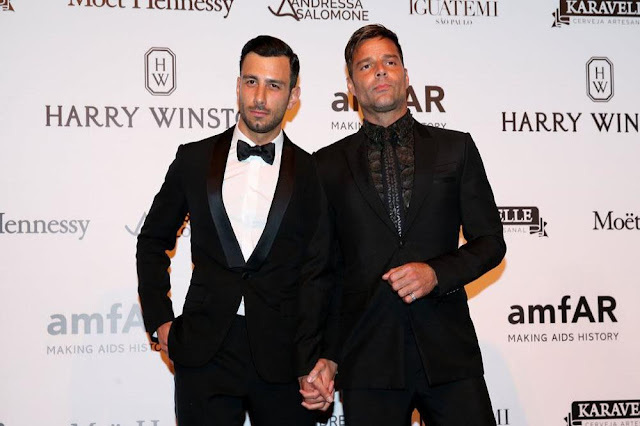 Ricky Martin has gotten engaged to Jwan Yosef, the Syrian-Swedish artist. The happy news was announced by the Livin’ la Vida Loca star when he appeared on The Ellen DeGeneres Show airing on Wednesday. He told Ellen that he had been very nervous before going down on one knee and making the proposal. The star said that instead of going for a box, he had gotten a velvet pouch. Also, he hadn’t asked a question, but told his fiancé that he had gotten him something. He said that he had told his beau that he wanted to spend the rest of their lives together and had gotten a yes in return. He added that even after thirty minutes, he had asked once again to confirm and had gotten another yes. Ricky has been officially together with his conceptual artist boyfriend since January. However, the two have known each other for more than a year and had met after Ricky had begun to collect Jwan’s work. Ricky came out in 2010 and before he found love with his finance, he had become the father of sons Valentino and Matteo. They were born in 2008 by a surrogate mother. He was practically gushing when he spoke to Ellen and said that it had been perfect. Nonetheless, his engagement was not the only good news Ricky wanted to share with his fans; the 44-year-old also made the announcement of his Las Vegas Residency. Tickets will be available from 21st November, Monday, even though there has been no confirmation about dates yet. He also extended an invitation to all the audience members of Ellen’s show to check out his Sin City performance. Ellen explained that they had been gifted with a two-night stay in Las Vegas hotel, the Monte Carlo Resort and Casino as well as tickets.